the vilafonte wine blog: Would you sell your family heirloom engagement ring in exchange for a seat at an exclusive South African dinner that includes Bordeaux First Growths? Would you sell your family heirloom engagement ring in exchange for a seat at an exclusive South African dinner that includes Bordeaux First Growths? 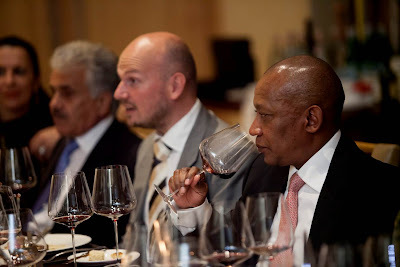 The thought occurred as I pondered who spends R15,000 to R20,000 without flinching on one night of top wines and food. But then The White Club isn’t geared at you and me. Essentially it’s a very exclusive supper club, its members a jetsetting group of individuals with limited time but unlimited air miles and funds. They have very exacting tastes - they like the best - and they’re used to having what they want. This non-profit club funds their taste for fine food and Bordeaux First Growth wines. The thrill is in sitting around a dinner table with rare wines and 15 other likeminded companions. This week in Cape Town; next month Mumbai or Tokyo. What does it take to be accepted? 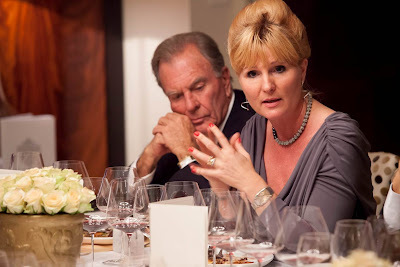 “You have to be a good dinner partner,” says The White Club’s Malene Meisner. Meisner is CEO alongside president Rene Dehn. These two wineloving Danes facilitate it all from Basel. They are employed to make themed wine dinners happen in different cities, and spare no expense and effort in pre-selecting and purchasing the right wines beforehand (South African tasters were involved in local selections). They even bring their Zalto stemware along. A high-end concierge service is on offer too. It works like this. If any of The White Club members fancy a private chef’s table at a sought after restaurant, and want to drink a wine or vintage not on the list, they’ll make it happen. What would you pay to taste six South African red wines against rare Bordeaux First Growths and international icons? Last weekend The White Club members and local guests paid dearly for the pleasure at The Saxon in Joburg, Delaire Graff Estate and at The Taj Hotel in Cape Town respectively. 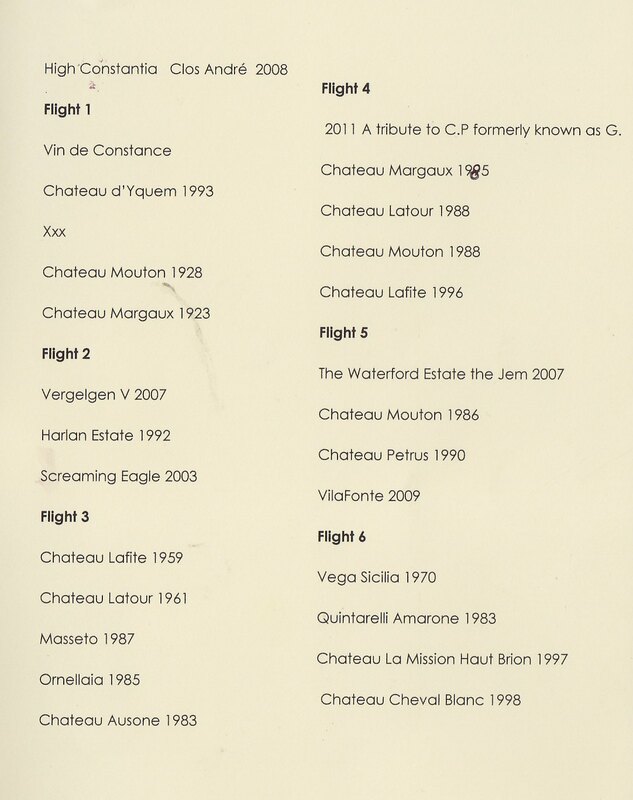 The Saxon wines included Mouton Rothschild 1928, Latour 1925 and Lafite 1961, at a R20,000 tag. 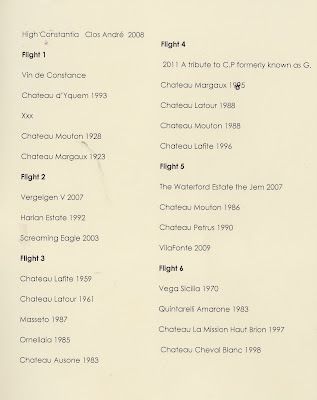 The Taj R15,000 dinner included younger French vintages (including the likes of Pétrus 1997, Cheval Blanc 2001, Margaux 1998, Latour 1991, Haut Brion 1995 and 1986). From South Africa Waterford The Jem 2007, Columella 2009, Vergelegen V 2007, Vilafonté Series C 2005 and Series M 2009, Epicurean 2006 and MR de Compostella 2008 were thrown into the mix at both dinners. Klein Constantia Vin de Constance 2007 also featured. The Delaire Graff Estate meal cost a mere R5000, including six South African reds alongside Cheval Blanc 1999, Vega Sicila Unico 1998 and Pétrus 2001. Dehn’s advice for SA wines wanting to crack the nod? 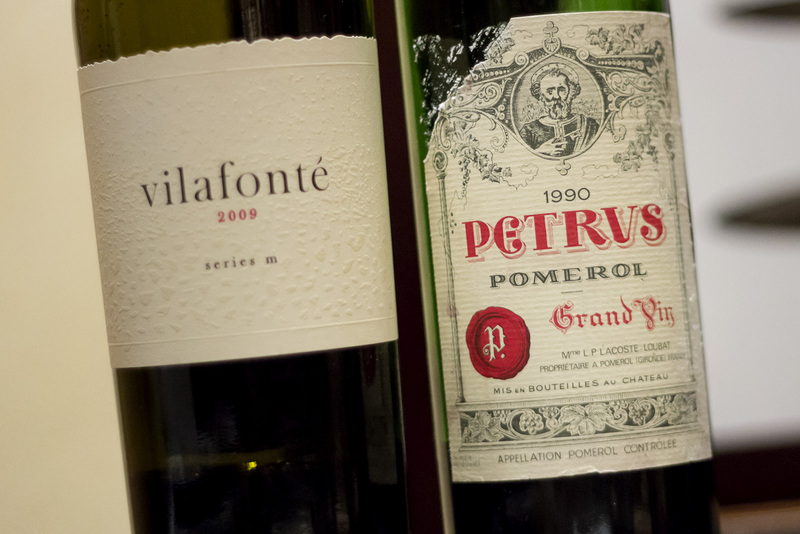 The White Club only ever serves mature Bordeaux against South African reds. “We’ve tasted the Vilafonté against Pétrus several times to show it belongs. In value Vilafonte is worth one unit. Pétrus is worth 100,” says Dehn. Only two or three per cent of South African wines feature on overseas wine lists and he says that’s a problem. “Your wineries are not managing to keep stock of their wines. Our members want to drink older vintages.” Are any winemakers listening?